Crafted by cigar master Estelo Padron, this Belicoso lives up to its legendary name. A true full-bodied smoke, this cigar uses aged Honduran and Nicaraguan tobaccos for the smooth yet hearty aroma. Its wrapper is a dark brown Ecuadorian Sumatra, which gives it tastes of earth and spice. Packaged in a Cedar Chest of 25.
very good smoke. I smoked one right out of the box which was ok. Then I smoked one that had sat in the humidor for a few weeks; much better. easy draw all the way through. solid construction. strong flavors of spice, toast, coffee, cocoa, leather and earth. hints of vanilla and dried fruit. definitely a keeper. This is a full bodied Havana style smoke with a lot of flavor with a great wrapper. It has a consistent draw and even flavor at an affordable price. My all time favorite cigar and the Honduran Nicaraguan blend creates a chocolate wood flavor that is unbeatable for the price. I've smoked this cigar for over 8 years and it's consistently delicious! Boy, when this cigar is hitting on all cylinders, it really is a treat and doubly so at the price. Unfortunately, a box does have quite a few with problems. Whether an overly tight draw, unevenly burning tobacco (tunneling is sadly fairly common), or a cigar that just goes out if you don't draw HARD every thirty seconds, the great example is an exception rather than the rule. And more's the pity. The blend is fantastic, strong bordering on overpowering but not quite crossing that line, with great flavor. But when I grab one, I don't know what I'm going to get. When the QC gets more under control, I'll LOVE these. As I said, at their best they are darned good. Good burn, consistent flavor and draw. More on the medium side. Solid smoke. I like them better with a few weeks in the humidor. I really enjoyed this cigar full bodied smoke that will satisfy. Great smoke with lots of flavor. A classic cigar that you can't go wrong with. The first one I smoked was better than good. This bundle seems to be inconsistent. I have had a few that were plugged and a few that burned down the middle. The ones that were good were very complex with a solid burn and a long ash. I wish they were all as good as the few. Overall I will take my chances and buy again when I have a 20% off coupon. 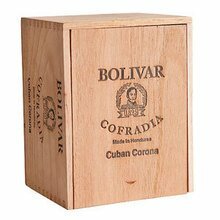 I really like every bolivar that I have smoked and this torpedo is no exception. Blended strong and robust, this spicy stick is a great smoke for when you are in the mood for flavor. As the name implies this is a very fine cigar of the exceptional construction. 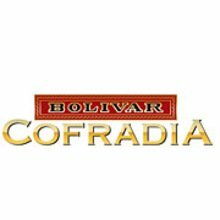 You will not be disappointed with this cigar Boulevard provides an exceptional experience. Great Cigar, price just a bit high. A medium to full bodied smoke with lots of flavor. Has a nice wrapper and good construction. Consistent flavor throughout. This is not your Cuban bolivar. Not even close. This blend isn't very complex, and isn't very delicious. It tastes kind of like damp wood. Ick. What a throwback. I'm not sure how my palate would handle this cigar now but I loved em back in the day! Great anytime cigar, these definitely do get better after resting in the humidor, the longer the better. No nicotine warrior, but flavorful yet not complex, while I find the smoke aroma of these very pleasing to the nose. Only oddity being the intensity of the flavor profile is at its peak in the first third to half of the experience... (Medium to Mild), with the finish being extremely mild. 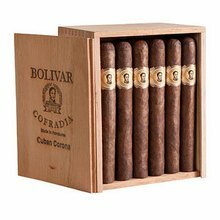 Have given these to friends and family that rarely if ever embibe in the pleasure of Cigar Smoking, and never a one experienced the dread "tobacco sickness". Good medium bodies smoke. I'm not a huge fan of the size but I guess that is what it is. Nice woody leather and a little Spice one the back end.